Wireless Excellence develops and manufactures the CableFree range of high performance, carrier-class Millimeter-Wave radios. Today’s range of MMW products offers up to 10Gbps throughput in 70-80GHz E-band spectrum and 2.5Gbps in 60GHz V-band. MMW is a high speed point-to-point Wireless transmission technology complementary to FSO and Licensed Microwave, offering high speeds in city areas where traditional licensed microwave frequencies are often congested, and at distances exceeding those available with FSO. 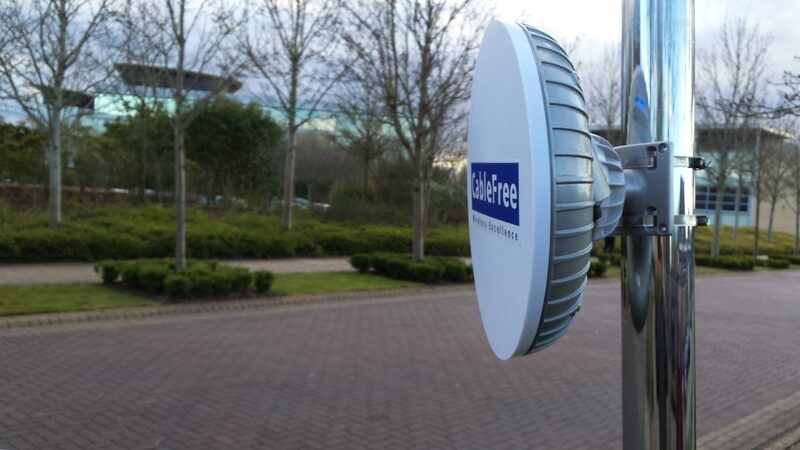 CableFree CPRI MMW links utilise the latest generation technology with Robust ASK modulation to achieve genuine, uncompressed 1.22 and 2.44Gbps Full Duplex Capacity using 70GHz/80GHz E-band spectrum with high Spectral Efficiency. CPRI Optical SFP interfaces allow direct connection to compatible optical ports on connected customer equipment such as Radio Base Stations, LTE EnodeB, Baseband radio controllers and other equipment.